Well, hello! Chris and I just returned from Belize which was our very first visit ever to Central America. I have quite a few photos to show you, if nothing else but to prove that I did some things well outside of my comfort zone. In fact, that was my own special mission for this whole trip – to keep working on getting over my fear of the ocean. Early last year when Chris and I were deciding what places to visit in 2015, he suggested Belize off of our must-travel list. In my research, I discovered that the country is home to the second largest coral reef system in the world, and thus I set out to plan a trip that included as much time in and on the water as possible. And that’s exactly what we did! 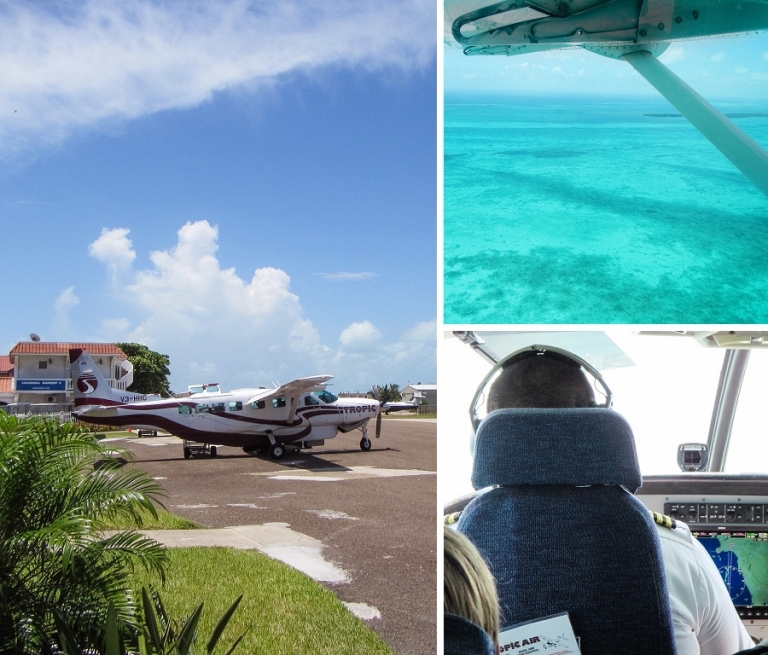 Once we landed in Belize, our week of relaxation and adventure started off with a mini-adventure in itself – a 15-minute turboprop flight from Belize City onto the island of Ambergris Caye. From San Pedro, we were escorted to our villa on a boat captained by Ernesto, the awesome resident caretaker/guide/boat captain extraordinaire at 18 Degrees North. More on this later in a few upcoming posts, but Ernesto’s services are one of the main reasons we chose to stay at 18 Degrees North. 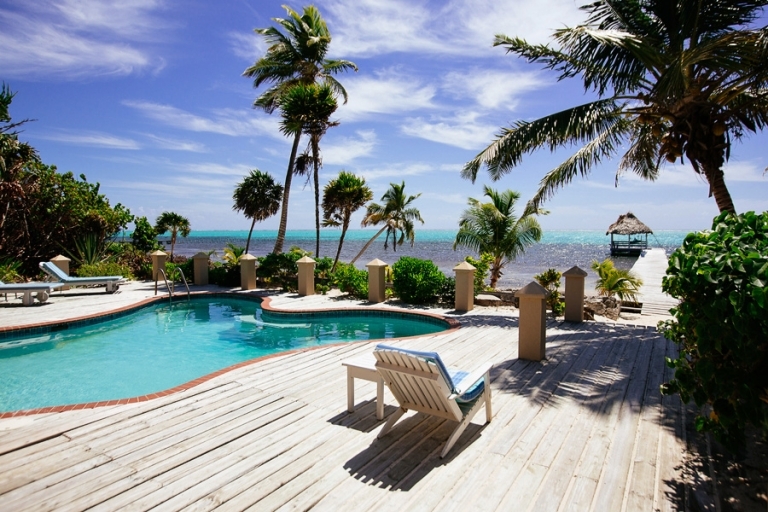 When I saw that he offered private personal tours of exactly every single spot we wanted to see in Belize I was sold. A short boat ride later, we arrived at the villa to sunny skies, warm breeze, this pool, and this gorgeous view. 18 Degrees North is situated several miles north of San Pedro beyond where the road ends, making it a very quiet location. So yeah, we were happy to set up camp here for the week. …we also had the company of two super sweet guard dogs, Rojo and Taco Bell. They kept us company around the pool and they alerted us to the occasional stranger/passer-by. I was amazed at how the dogs knew to differentiate between us trusted guests and anyone else not staying at the villa. We loved their presence and would have brought them home with us if we could. Perhaps my favorite spot on the property though was the grass-thatched palapa down at the end of the pier. Chris and I relaxed here daily, enjoying a beer, listening to music on the Jambox, and watching the boats pass by every now and then. The constant breeze made it comfortable and bug-free. On our last day, I managed to get up early enough to catch the sunrise, snap a photo, and reflect on the wonderful week we spent in paradise. 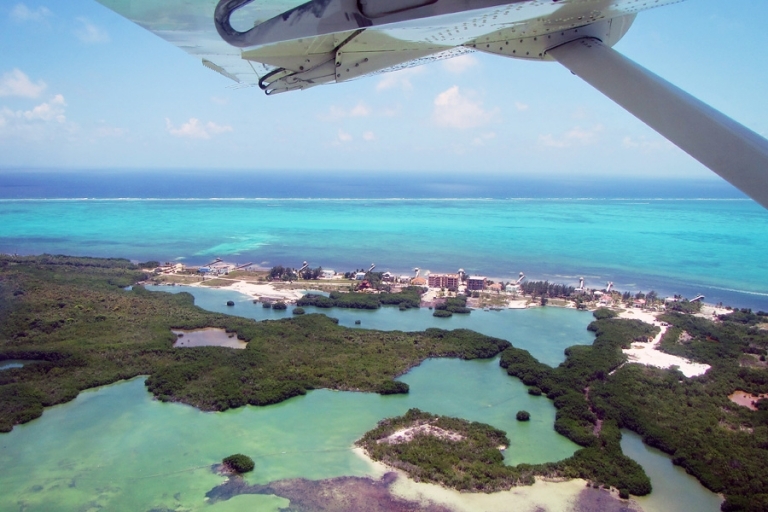 Stay tuned for a few Belize-related posts where we visit Mayan ruins, go scuba diving (! 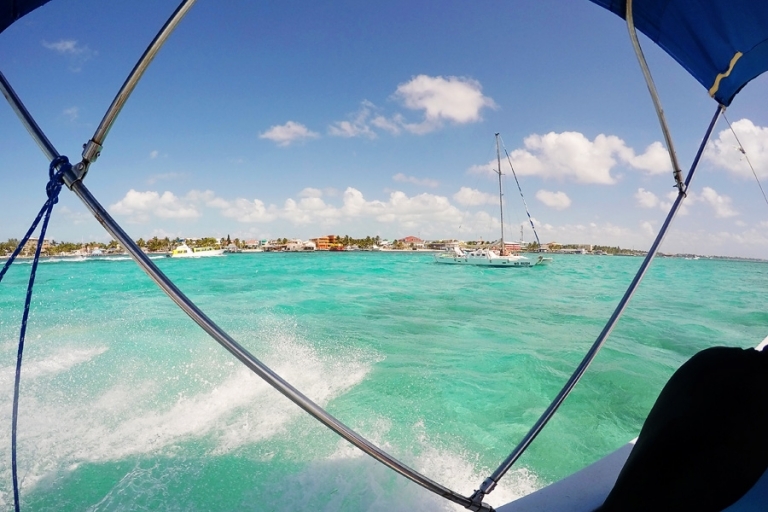 ), and snorkel all up and down the island. Monkeys and Parrots and Sloths...Oh, My!